Westwood Apartments is a community offering a great residential environment. Florosa Elementary School is conveniently located right next door. 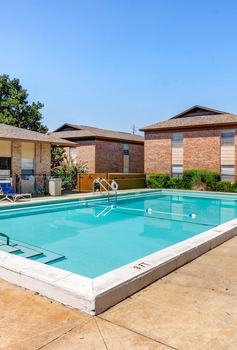 Here at Westwood Apartments we have two gorgeous swimming pools, a centrally located laundry facility, a playground and a gazebo/grilling area for our tenants. We are a cat friendly property, no dogs. We also offer monthly pest control, on-site management and 24-hour emergency maintenance.